September 24, 2018 January 21, 2019 Categories food walk, Travelbiryani sector 5, blogger, chicken biryani, food walk, foodiedada, jhups, lunch sector 5, office canteen, office canteen stories, pice hotel, sandwich, sector 5 food, sector 5 food walk, sector 5 sandwich, sector V food, webel canteen, webel canteen review2 Comments on Office Canteen Stories 2018 — Sector-V business hub, and more! I rarely get time these days to do food walks or attend any of them! But a few days back, I decided to venture out a bit. It was a rain-drenched afternoon, but it wasn’t at all dull since a couple of my blogger friends and I decided to walk through the Sector-V (Saltlake, Kolkata) Street food scene during the busy office lunch hours and discover some seriously good food at pocket-friendly rates! We explored the eateries around the RDB Cinemas (beside the Omega building) and few other places in Sector V during the lunch hours. It was chaotic and colorful with loads of food, but it was pure fun. We found branded kiosks pulling some good crowd while the roadside food stalls and dhabas seemed to be a bigger hit! This area is basically the heart of Sector-5 office para (business hub), and I know this place pretty well more because I have been working in Sector-5 for over a decade now! It has hundreds of small, mid-sized organizations and MNCs operating from this part of the city. So many offices all around created the demand for feeding so many office-goers, and as a result, today after so many years, Sector-5 can truly boast of housing some of the best F&B brands. It has also numerous small eateries and roadside dhabas and stalls. The lunch hour basically kicks off at 1:00PM and goes up to 2:30 PM, but the mad rush is from 1:30 to 2:00 PM. F&B industry has thrived very well at Sector-5 but still, the major focus is on cheap pocket-friendly lunch options that you can have regularly. Bengalis prefer to go for a rice thali, that needs to have some runny dal (moong or masoor) and sabzi (veggies cooked with Indian masalas), on top of that it can have either fish curry, or egg curry, or chicken curry! On Fridays, the mutton curry mainly comes into picture 🙂 And yes, for me, Fridays are equivalent to savoring biriyani in the afternoon, so once a week biriyani is also a part of the diet for some of the Bengali office goers in Sector-5. So, coming back to the eateries around the RDB Cinemas (beside the Omega building), you will mainly find people flocking to either Barbecue Nation or Chai Break if they wanna have some lavish buffet spread or celebrate some special occasion or professional achievement! But this blog post is not about promoting these restaurants, or any well-established restaurant for that matter. It is about the mango people and where do they eat day in and day out in this tech hub. So, right opposite Omega building (beside Pantaloons) you will find a string of stalls of couple of brands like Jabbr Afghani, Go Lebanese, etc. There is also a Chinese stall (which remains open all day and all night), and all these stalls used to be at Infinity Think Tank building even a couple of years ago. I was actually pretty regular at both Jabbr Afghani and Go Lebanese. The Dejaj Biriyani at Go Lebanese used to be my favorite along with their grilled chicken. But the quality of Dejaj Biriyani has fallen steeply in the last one year or so, like the value of money (against USD)!! And yes, the price has consistently gone up (like the price of petrol). I used to have the biriyani at INR 130 per plate couple of years back, last time it was INR 160 and the meat was smelling badly, so anyway, I completely avoid Go Lebanese now. But, Jabbr Afghani still rules the scene when it comes to Kathi Rolls. Their cheesy chicken or mutton rolls are to die for! They serve the best rolls in this Saltlake Sector-5 area, no doubt about that. Try the ‘Jabbr of Jabbr Chicken cheese roll’ or simply the ‘Egg Mutton Cheese Roll’, you will feel the magic. And yes, also have their chicken biriyani with egg, if you are going for lunch. Their biriyanis are reasonably priced and always having a juicy chicken leg piece. But yes, all these stalls are placed very closely and it’s very cramped up, so it’s pretty difficult to stand there and have your food. Moving ahead from these branded stalls, let’s now move to the road-side vibrant dhabas and eateries. These road-side stalls are also called ‘jhupris’ (roadside shacks) in Bengali and Sector-5 techies call them ‘jhups’ – that’s basically a jhupri with some swag 🙂 While walking across these jhups, we found a small no-frills sandwich shop (named Saran Sandwich Corner) where you will get a plethora of sandwiches at super reasonable rates; we opted for Corn n Cheese Sandwich and Egg Sandwich! Both were truly amazing, filling and packed with goodness. The total pocket pinch was INR 75 only for these two sandwiches! We carried on these ‘office canteen stories’ to more stalls close by, and found an amazing dhaba nearby where we found freshly cooked chicken biriyani at INR 60 (yes, you read that right), and yes, the chicken was fresh and it was delish! It can seriously give big biriyani houses a run for their money! Also, I would like to add, this joint was featured in The Food Ranger videos, so you can totally trust this recommendation of mine! 🙂 You definitely need to try these places to believe it for yourself! This place was called Gopal ji ka dhaba. In fact, if you keep walking, you will get couple more such dhabas selling biriyani, I am sure they are equally good. Also, Gopal ji ka dhaba is an amazing curry heaven with so many non-vegetarian and vegetarian curries (that includes chicken dishes, mixed veg dishes, paneer dishes, dal makhani, etc) all lined up to be served with freshly prepared tandoori rotis and naans! In fact, there are many other stalls in sector-5 following this ‘dhaba template’ where you will get all the similar food items, only the flavors and aroma will differ. And if you move ahead, you will get couple of ‘bhaat-er hotel’ or pice hotels, where you will get a humble yet filling meal comprising of steamed rice, dal, veg sides, fries, non-veg curries and chutneys. There are also juice stalls, eateries selling Indo-Chinese dishes like fried rice, noodles, chili chicken, chicken lollipops, etc and steamed chicken and veg momos! And yes, here at all these stalls, you get soothing clear momo soup along with a plate of chicken momo, something that many branded momo outlets do not provide. Heaps of Chicken steamed momos! From this locality, we went straight to a unique place which is actually an office canteen housed inside an office complex, but it’s open to the public. It is the Webel Videotronix canteen, opposite Azad Hind Dhaba (btw, this Azad Hind is another place to be avoided!) and beside the Technopolis building. This place runs on trust, good faith and friendship, more than anything else. I went there after gap of a month or so, and the server named Bhola da, was so concerned, asking how have I been, why am I not coming for lunch, and so on. These small little things make all the difference, and make you feel special! Here, at Webel canteen the menu changes every day, but the menu has got a lot of varieties, though everything is basically revolving ‘round Bengali cuisine. One of the best pice hotels in Sector-5, for sure! Only one thing, you have to stand and eat here. You can have your lunch here every day and still stay fit without any stomach issues, I can vouch for that from my past many years’ experiences. I generally go for their fish thali, where you can choose your fish and the price will be according to that. I go for Katla Kalia, or Dahi Katla (Katla fish cooked in a curd based curry), Chicken curry, or Chicken rezala, or simple egg curry. You will get a variety of fishes as well, apart from Katla, and so this place is amazing for its fish thalis. The fish thali is priced between INR 50 to 60. In the Thali along with the fish, you get daal, one veg side dish, and mashed potato with green chilies and chopped onions. You get free refills (unlimited) of the rice, dal and veg side dish, which means you can come here with a huge appetite and still fill in your tummy with only 50-60 odd rupees. Along with this, you can opt for more veg or non-veg side dishes like Aloo Posto, Beguni, Shukto, aloo bhaja, Machh-er dim-er bora, fulkopi-r torkari, and so on. The list is very long and as I said, it keeps changing every day. And yes, there are sweet dishes (mishti) as well like sandesh, rosogolla, lengcha, etc which you can buy on top of your thali. Also here on certain days, you will get Khichuri, Pulao, Fried rice and even home-made Chicken Biriyani. Appropriate side dishes are prepared along with these as well, like Chili chicken with Fried rice, or Mutton Kosha with Pulao, etc. There are more such reasonably priced lunch places spread across the Sector-5 area in clusters but the format is basically the same, ones I have discussed above. You will get more such clusters near the Globsyn building (near Webel more), near RS Software building, near Techno India college and the Shasthya Bhawan. You can share your office lunch experiences in Sector-5 area in the comments section below, I’ll be glad to read them. Also, I would like to mention, in this food walk I was ably guided and accompanied by two very talented food bloggers – Raina Kshetry (from Pinch of Salt), and Ritika Jaiswal (from Kolkata foodie). Do read their posts as well, they cover places all across the country and abroad. 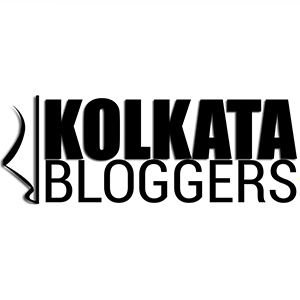 Also in this Office Canteen Stories 2018, they have covered the Calcutta Stock Exchange, Camac Street area and more, which was another exciting food walk. Loads of tasty street foods are available over there and you can get a filling lunch there at INR 22! Yes, you read that right!! Click the link here to read Ritika’s experience and click here to read Raina’s fantastic article, where they have also covered this part of the city, hope you will love these posts! Previous Post Spicery – the den of modern Indian soul food is here! Next Post Recipe of ‘Railway Mutton Curry’ and its origin!